Osama bin Laden credited WikiLeaks with exposing corruption that sparked the Tunisian revolution, new documents from the May 2011 raid of the al Qaeda leader's compound show. In a letter addressed to "the Muslim nation," bin Laden outlined lessons learned from the late 2010 revolution in Tunisia that inspired a number of protests throughout the Middle East and North Africa. "The rise of awareness was a main factor in toppling the Tunisian idols; partially the current jurisprudence as well as the extent of the rulers' corruption and their loyalty to the West. That, to include their lies to the people as the picture became clearer following the Wikileaks documents," bin Laden wrote in the undated letter. The letter referenced diplomatic cables written by the U.S. Embassy in Tunisia between 2006 and 2008 disclosing corruption of the Tunisian president's family. The cables were released by WikiLeaks in November 2010 and were widely available in Tunisia as the uprising brewed, PBS reported at the time. The uprising against the country's corruption and poverty forced Tunisian President Zine el-Abidine Ben Ali to step down. "This was a historical opportunity to get liberated from the identity of affiliation, which controls the West under the leadership of America," bin Laden wrote. "The greatest sin and biggest ignorance was to lose this rare opportunity that the nation had been awaiting for decades." The Office of the Director of National Intelligence released the third and final trove of declassified documents seized in the May 2011 raid by Navy SEALs that killed bin Laden, the al Qaeda leader responsible for the Sept. 11, 2001 terror attacks. The trove of 49 documents consists of letters, accounting ledgers, and other documents translated from Arabic. The documents, like those in previous releases, contain language characterizing America and the West as the enemy. In some of the documents, bin Laden also criticizes the al Qaeda branch in Iraq that later evolved into the Islamic State, or ISIS. "The declassified documents reveal bin Laden's strategy for upending global politics through protracted violent conflict directed primarily against the United States and the West," an intelligence analyst who worked on the project said Thursday. "Bin Laden—like many terrorist leaders before him—was an idealist who romanticized terrorism as a way to right what he believed was wrong with the world—and lead to the re-creation of a lost utopia for his followers, a destructive vision that continues to spark violent conflict globally." The latest documents were released just days after President Obama commuted most of the sentence of Chelsea Manning, the former Army soldier who was sentenced to 35 years in prison for leaking classified national security information to WikiLeaks. Manning leaked diplomatic cables as well as U.S. military battlefield reports from Iraq and Afghanistan. At Manning's trial in 2013, prosecutors revealed evidence that bin Laden requested and received Afghanistan battlefield reports published by WikiLeaks. WikiLeaks has more recently received attention for publishing emails from Democratic National Committee officials and John Podesta, Hillary Clinton's campaign chair. Those leaks have been connected to a Russian government campaign to influence the U.S. presidential election. 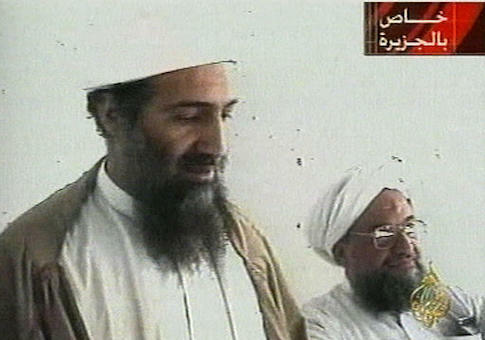 Intelligence officials have worked for more than two years to declassify several hundred documents recovered in the raid at bin Laden's compound in Abbottabad, Pakistan. The CIA, with approval from DNI, began an interagency review of the classified documents in October 2014. The previous trove of documents was released in March 2016. It included bin Laden's written will, in which he claimed to have a fortune of $29 million that he wanted his family to use to carry out jihad. This entry was posted in National Security and tagged Osama bin Laden, Wikileaks. Bookmark the permalink.